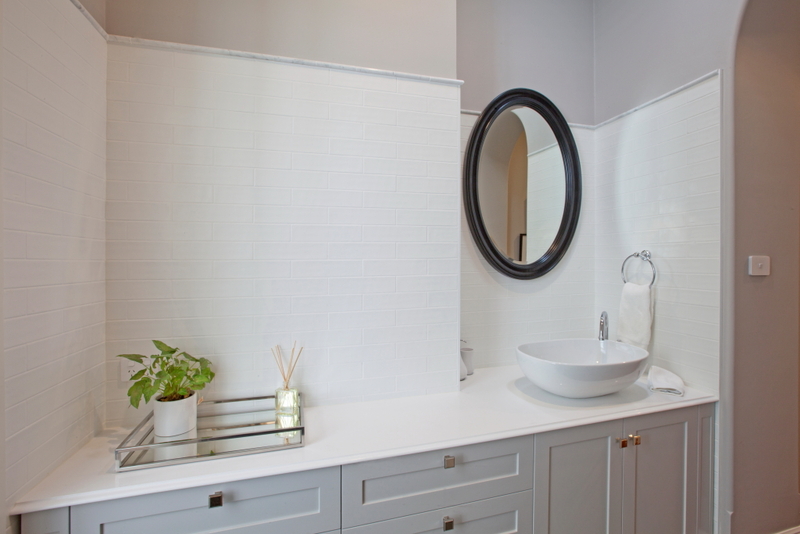 The post Bathroom Styling – My 5 top tips appeared first on Making your HOME beautiful. 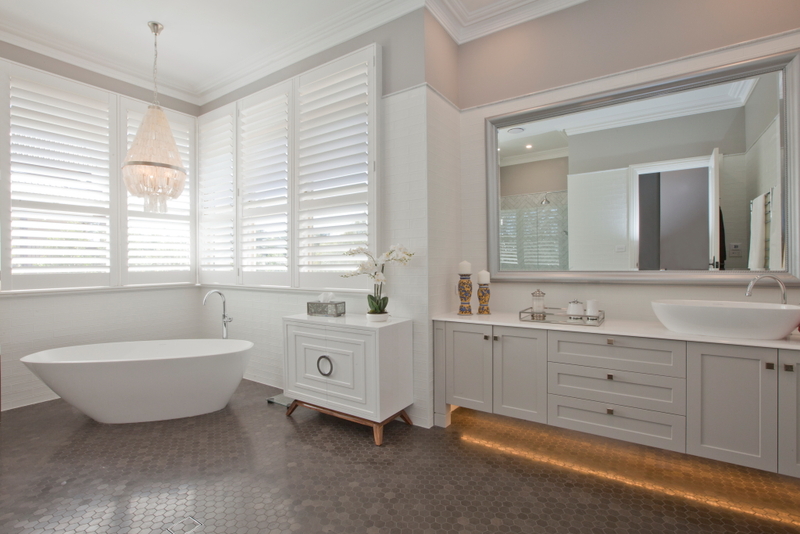 Renovating a bathroom is expensive and the old adage that bathrooms and kitchens sell houses is very true. For these reasons I always recommend keeping a bathroom renovation simple. Good quality, but classic and timeless, so that you don’t tire of it but it will last the distance. 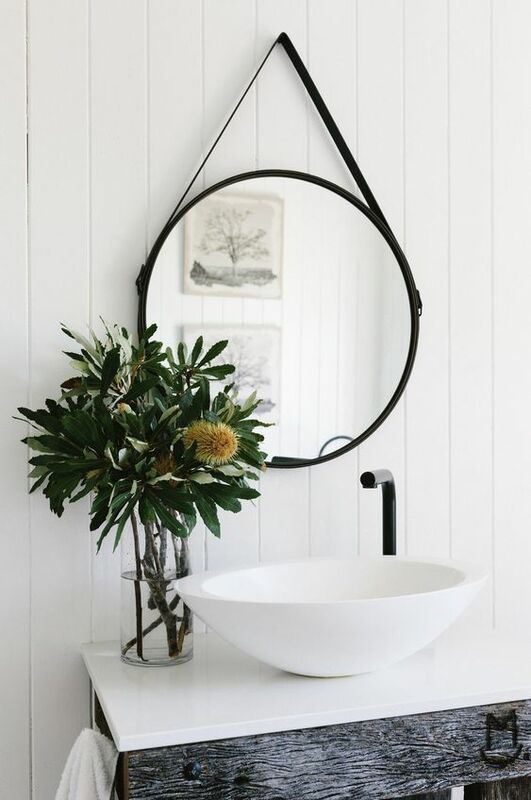 You may feel that this is a bit boring but there is great value in having a clean blank canvass as it is a great backdrop for some individual bathroom styling. This is where you can introduce some style and make the bathroom contemporary and attractive. The best part though is that you can update it with minimal cost and disruption. 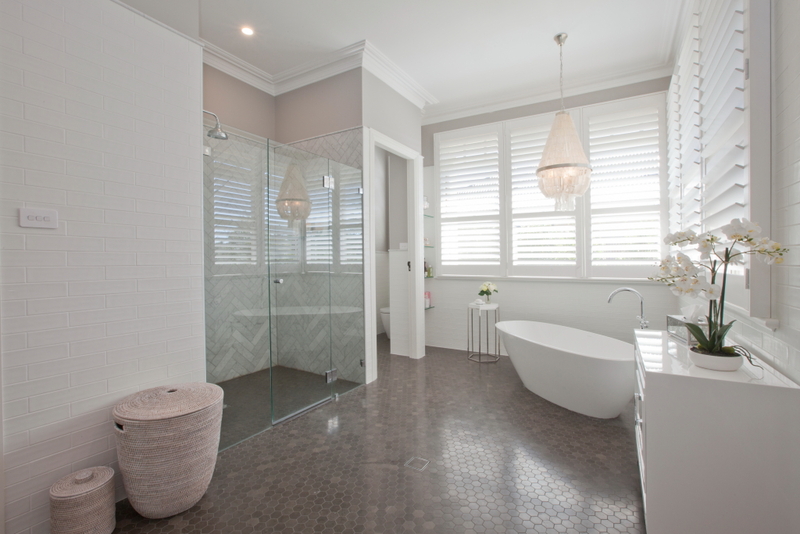 It can be expensive to tile a bathroom from floor to ceiling and I much prefer to only use tiles in the wet areas and have plastered walls that can be painted. It is a good idea to have a self contained shower, for example at the end of the bathroom or even in a separately designed corner or area. With freestanding baths that can be positioned away from a wall with a floor tap, you don’t need to have as much wall tiling as with a traditional built in bath. Towel rails, particularly if they are heated, should be on a tiled wall, but there is nothing to say that this should be taken to the ceiling. This is particularly the case if you are fortunate enough to have high ceilings. In the image above, I stopped the tiles at the height of the internal doors and then introduced a soft grey to the wall above. You can always change the colour of paint – perhaps a stronger, darker tone or even a fresh white. So, by keeping the floor and wall tiles very neutral, you can easily introduce colour in the form of paint to the walls. 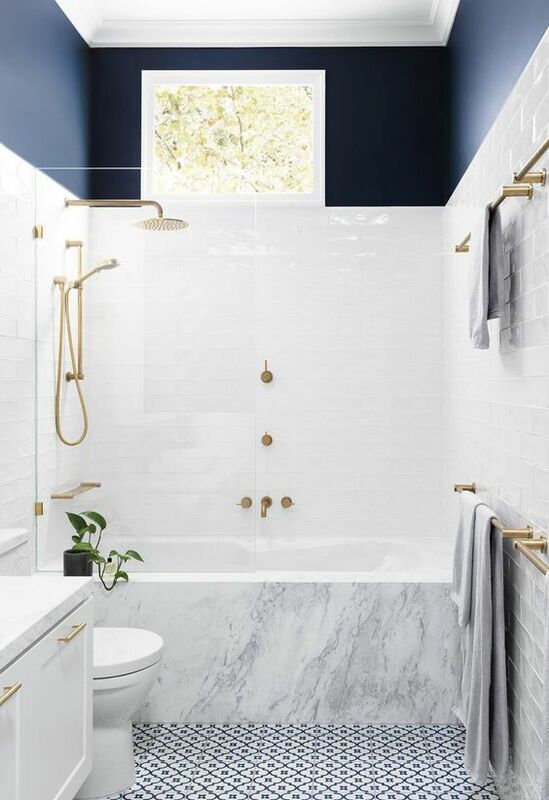 This means that the look of your bathroom can be freshened up and changed quite dramatically over the course of just a weekend. Towels are another way to introduce some colour, even if you have white towels with a trim colour, these will give the room personality and just as important to the success of the room, will introduce some texture. 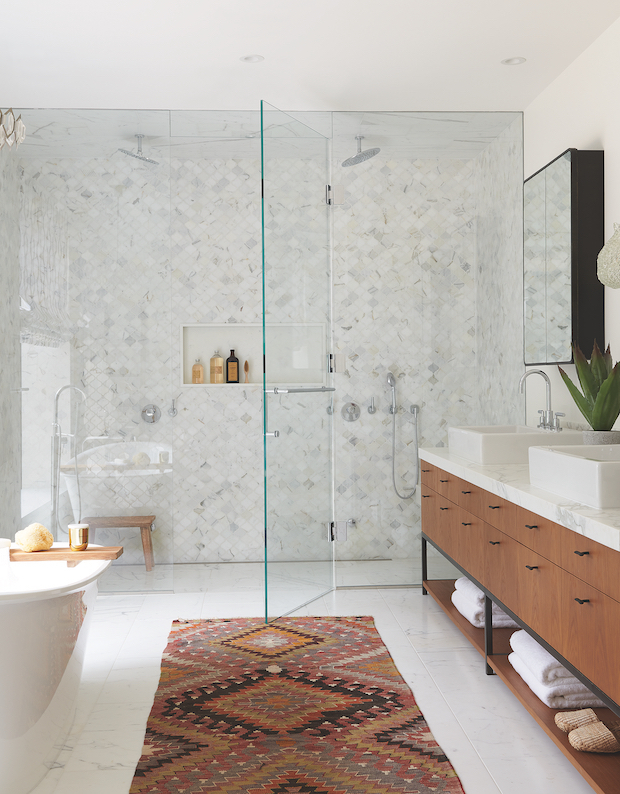 If your bathroom is large enough then you should consider introducing a rug. This can be colourful or neutral depending on your style but again, it is the texture that is important here. 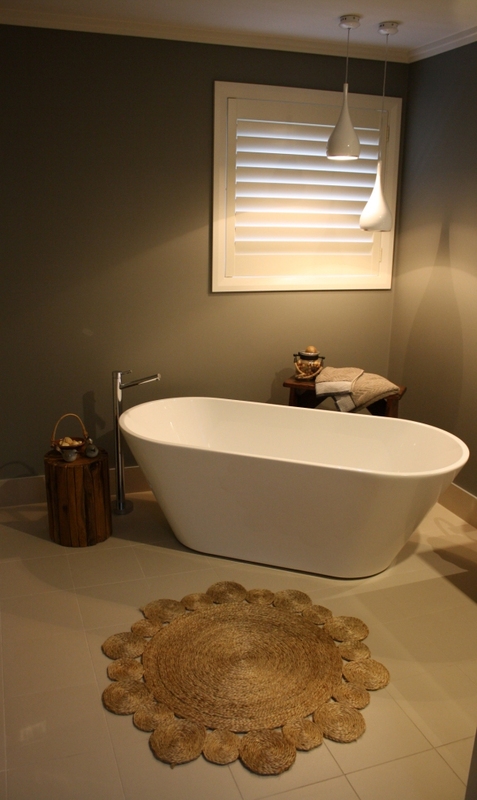 A freestanding bath can look lonely without a timber stool. 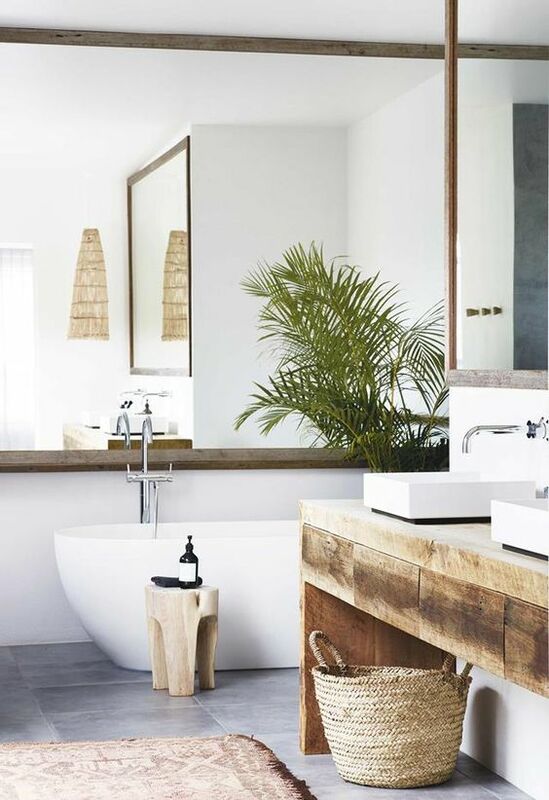 A handy seat or just a spot to leave the soap tray, whichever use you have for it there is no doubt that the texture and colour in the timber is a nice contrast in a simple white or grey bathroom. Another benefit to simply painting the walls in your bathroom is that the room looks just that – another room – and you can decorate it with artworks to introduce a homely look. An entire house benefits from a good lighting plan but this is absolutely essential in a bathroom. In terms of styling this is one way that you can really make a statement. 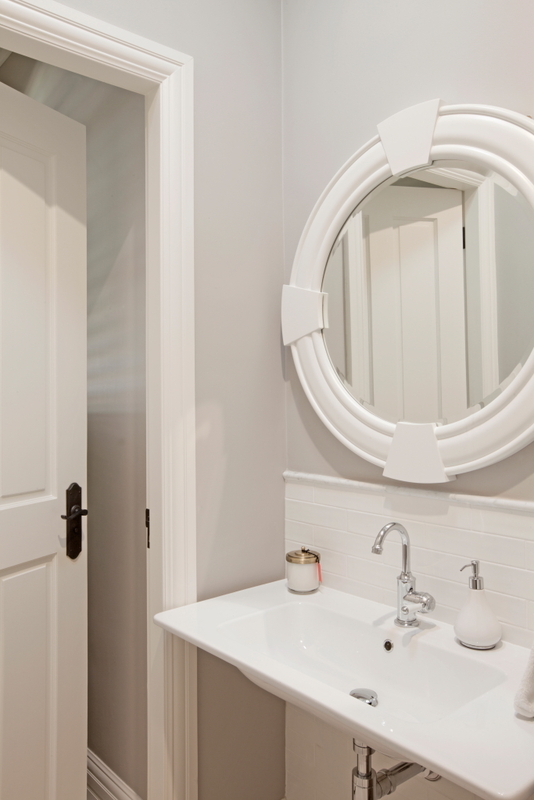 A bathroom vanity should have wall lights placed at eye level either side of the mirror. In addition to LED downlights, a pendant can look stunning and again is such an individual and relatively inexpensive way to make a design statement. If you are placing a pendant over a bath though you must check that the voltage is low enough and an electrician will be able to advise you here. 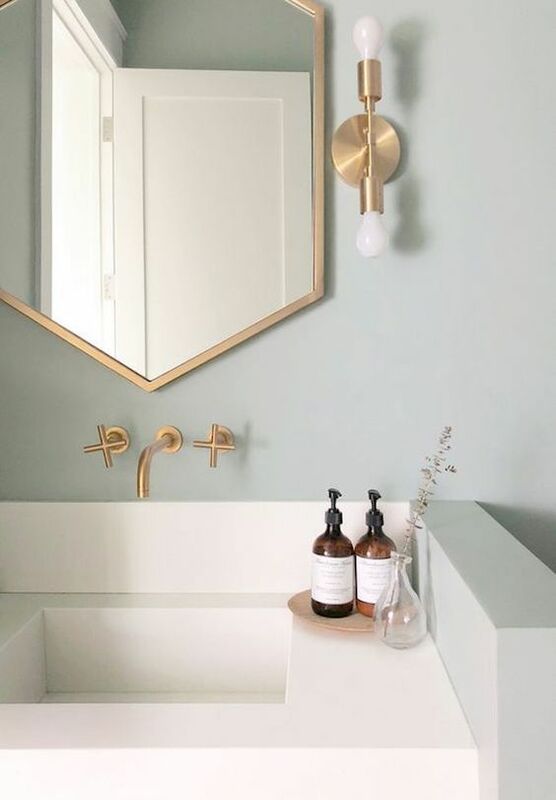 Water and electricity do not mix and there are very definite guidelines which you absolutely must follow when installing a pendant in a bathroom. LED strip lighting underneath a wall hung vanity is a good idea as this can be left on at night and can be just enough to see by in the dark and saves you turning on the lights, waking yourself up completely and then not being able to get back to sleep! 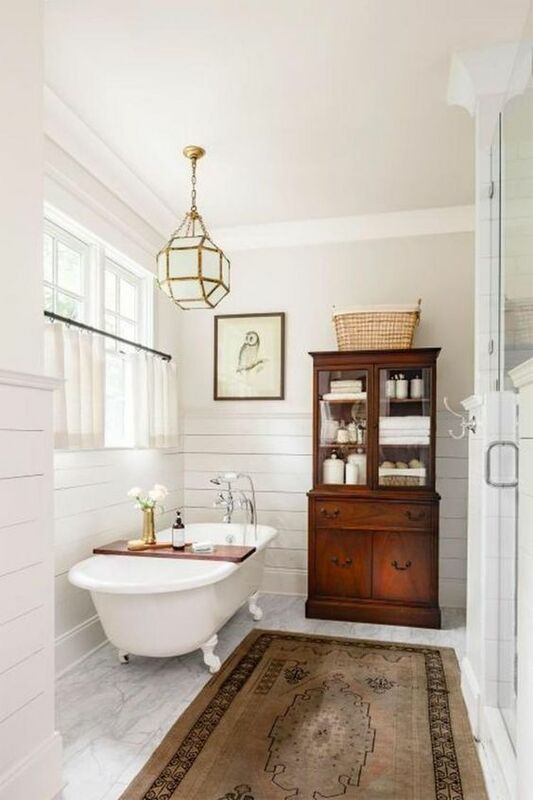 My ideal bathroom is one that has space for freestanding furniture. An antique armoire for towels or a beautiful cabinet for storing bathroom items. Not only are they practical but this has to be about the best way to introduce some individual style into the bathroom. Keep the flooring and walls simple and then you can dress the room as you would any other in a house. If it is large enough, you can add a chair too which makes perfect sense for a space like this. I love to shop for bathroom accessories as there are so many lovely pieces that are available now. Mother of Pearl trays, gorgeous organic shaped timber bowls, or delicate porcelain dishes. Whatever your style, there are items that you can add to transform the look of the space. Remember though that the mantra of ‘keep it simple, decorate and at the end take one item away’ should be employed here. The last thing you want is for your bathroom to be cluttered. Ensure that the tray, bowl or dish that you employ has a purpose and that your styling vignette doesn’t get too busy. 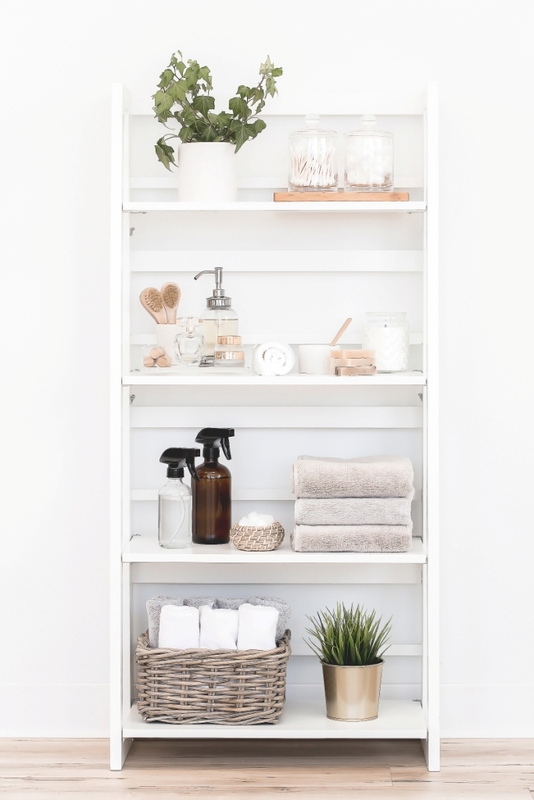 Remember a bathroom attracts condensation and dust from talcum powder and make up so you don’t want to set yourself up for too much cleaning! 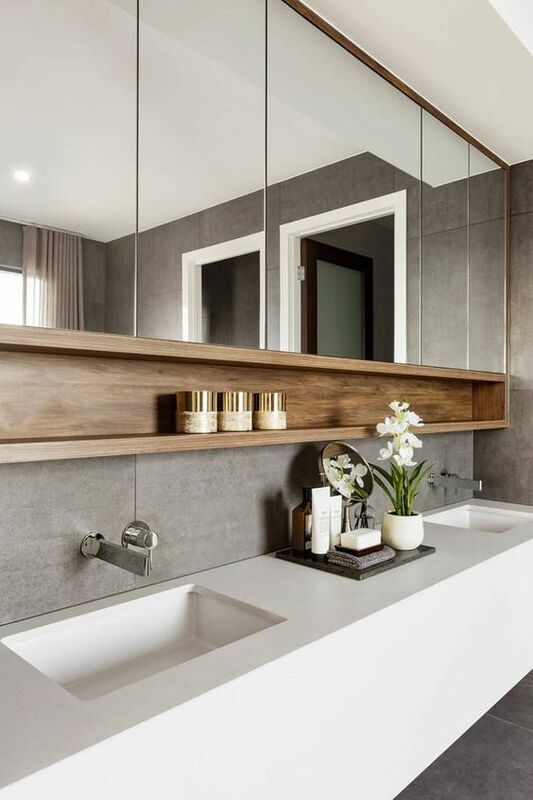 Rather than installing a built in mirror, consider buying a statement mirror that will help to define the style of the bathroom and also bring in either colour, and/or texture to the space. Candles are a classic styling accessory and look good styled in groups of three. 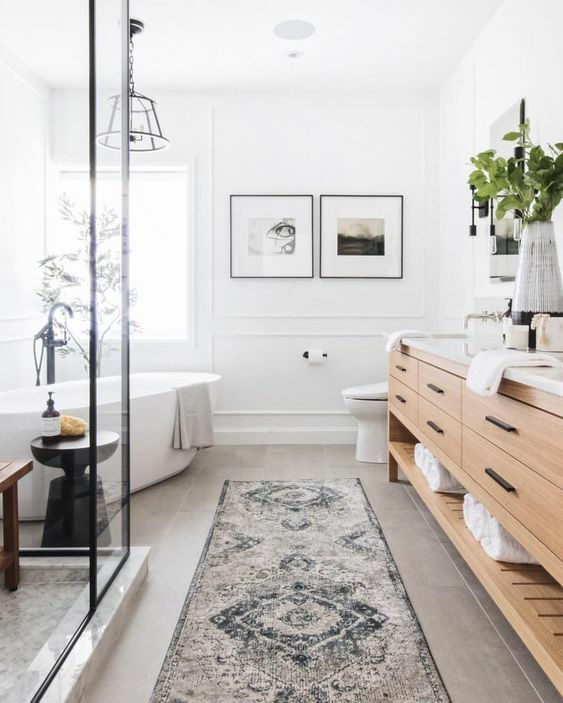 Large dishes of different soaps, baskets for guest towels and simple silver trays to contain bathroom items or a vignette are ideas to consider. 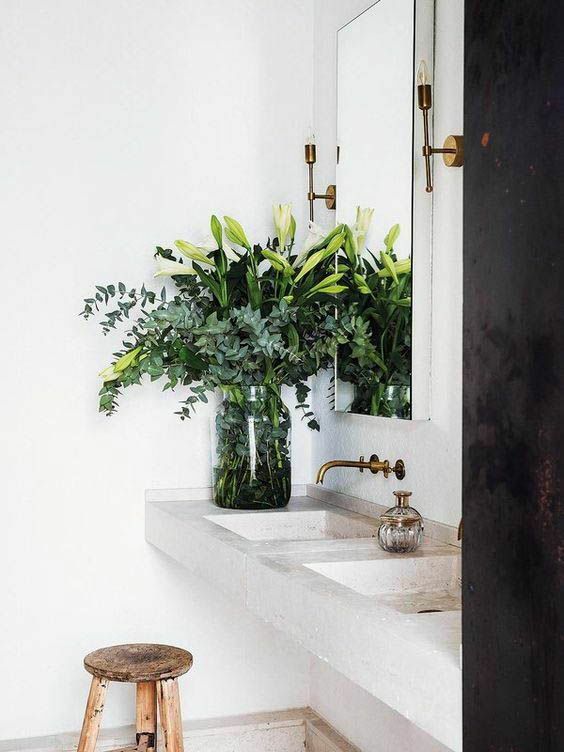 Finally, if you have the space, some statement greenery is the perfect complement to a bathroom. 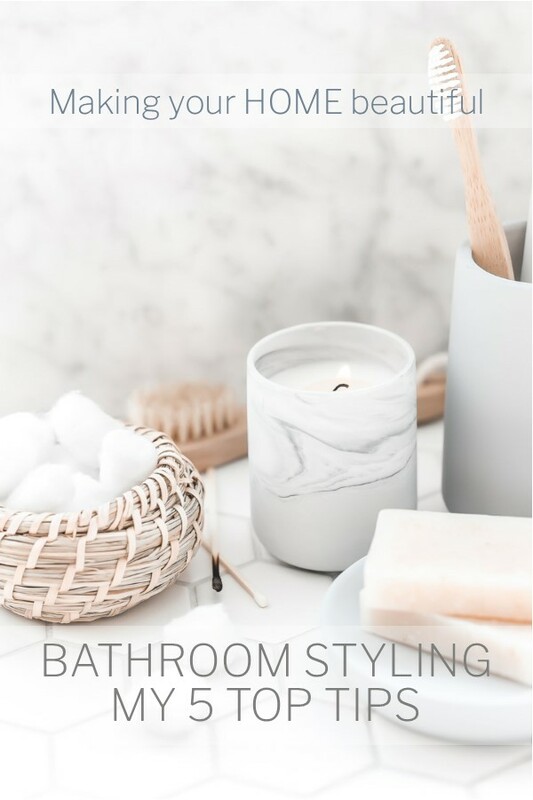 As always, I have lots more inspiration on my Pinterest Board dedicated to Bathroom Styling and I would love to hear how you style your bathroom or if you have any questions.